Just give me the beer and nobody gets hurt! OK, so let’s start with the girth straps on my dressage saddle. It turned out to be a very lucky near miss indeed. When we took the saddle back to the UK distributor she tore the remaining three straps off the saddle with her hands! The webbing that holds the straps to the saddle was totally rotten through – ah, the power of Harry sweat! Seriously, I am not impressed. What if?! Last Sunday we were all up early with Harry for Nurstead BE100. We were first to go, so a 4am alarm. Harry took advantage of us being a bit bleary eyed and started the day by cantering loose around the lorry park (yawn, very funny Harry! ), but performed a pretty good dressage test for 30 (phewee, still in the 70% club!). I was absolutely delighted with the improvement in his show-jumping. The course at Nurstead is all on a hill and a year ago it would have been a car-crash jumping him there. He jumped a super round having only one pole down when the jockey was hassling him. He really is trying to leave them up now (always a bonus!) 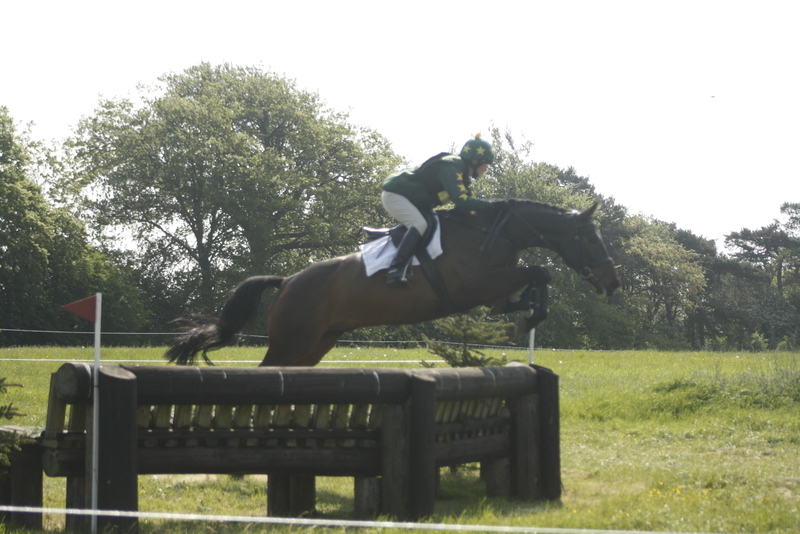 The XC was better than Munstead but still, if I let him out I am not getting him back together enough for the next fence. So, groan, we had another run out, two from home. Argh. Only thing that cheered me up was to hear Hannah finished 8th in her section. I am so proud of her, she’s doing a fantastic job. Onto Tweseldown next where I will be trying a different bit, and we will be practising skinnies and holding a line every time we jump between now and then! 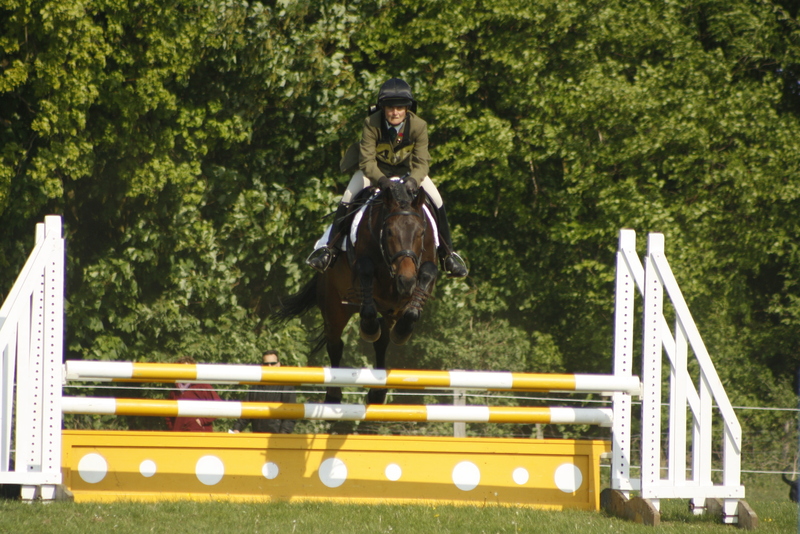 Then we took Lily, Otto and Tinka to jump the Clear Round at Felbridge. Otto didn’t put a hoof wrong all day, Tinka only worried slightly when the Ginger Minger was yelling her head off from the lorry park, and both of them jumped two super rounds. No doubt by the description of said orange pony you will be guessing that Lily was less than well behaved. Lily, who doesn’t even like Tinka, was totally obsessed by her whereabouts. Much napping in the arena (although we technically jumped clear), followed by a fine display of hideously bad manners back at the lorry park. Mummy got squashed against the lorry, Daddy got run down, then we had threats of kicking the living daylights out of anyone that tried to catch the loose mongrel. Charming. Lily will not be going anywhere with Tinka again. Life is too short! So off to Sally’s next for jumping lessons with Harry and Lily. Quite bizarrely Lily can travel with Harry and it’s no stress. What is it with her and Tinka? Anyway….Lily told me almost as soon as I got on that her mouth hurt. We checked as much as we could with the bit in, couldn’t find anything and ignored it (oh isn‘t hindsight a marvellous thing?!) She was very distracted but after Felbridge we thought best to keep trying to get her to settle. Looking back there were a few “ouch” moments. Then we moved into a different arena and they turned to “not going over there”……”no mummy, not going over there”…..”mummy, I said NO”….then Pigtails lost it, rolling around in the supermarket aisle screaming her head off and slamming the floor with her fists. 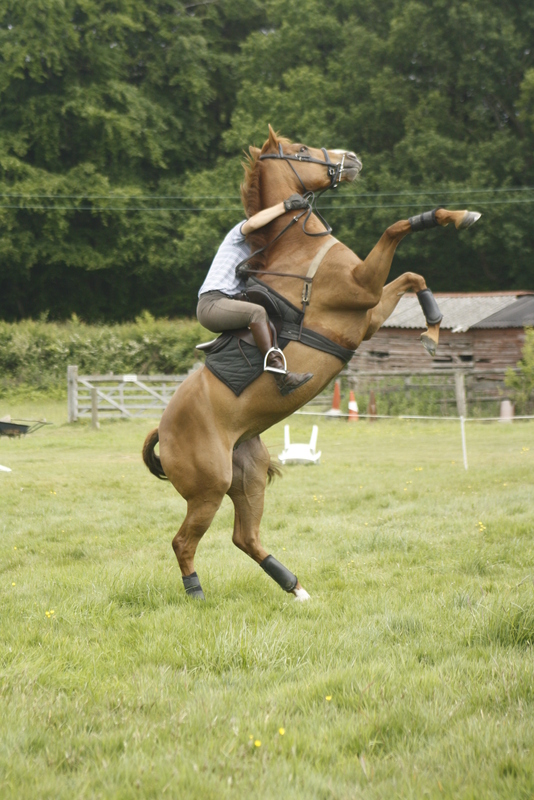 Very nearly me saying ’ouch’ after that…..should learn to listen to my pony. Further investigation shows a tiny sore on the inside of her mouth. Giant reaction of ridiculous proportions, but that’s my girl. For her efforts she has earned the right to stay out at night and have chaff spiked with downers for breakfast, dinner and lunch. So how did Harry go you ask? Well he came off the lorry with a big fat swollen ankle. So straight back on the lorry, home for cold hosing and ice packs. Not one of my best days out. Today Harry and Strider were supposed to be at Step by Step BD. Harry obviously already had his sick note. Up early again and as I am driving to the yard Louisa texts me to say her staff aren’t coming in as they are unwell. The most positive thing I have to say about the last two weeks is that I have had two hours free today to catch up on sleep. I don’t feel refreshed, I am still grumpy. Oh, I nearly forgot. Rose has given birth to a bay colt with big white blaze and two white socks. The stud have described her as a text book mother (well at least she has read one book in the library). On the down side (yes, it‘s that kind of month), they are overstocked and wondered if I’d like her back…or actually what they asked was if I would like her and her foal back….please go and visit her, bring me back photos. Stud UK Euro open day is on Saturday May 28th and Rose is looking for a new home.